French A.R.C. member PG Conrardy is running this summer the GFS (Global Free Ski camp) in Tignes. Riders of all levels will be coached by Pro-riders on a state of the art site at 3.500m (8 Table Tops from 5 to 20m; Step Up; 15 rails for all levels; Quarter, etc.). The lodge is a luxury Chalet of 400m² (10 rooms, Wifi, Jacuzzi, 80 m2 balcony, etc) with an overview of the Lac, La Grande Motte & its Glacier. 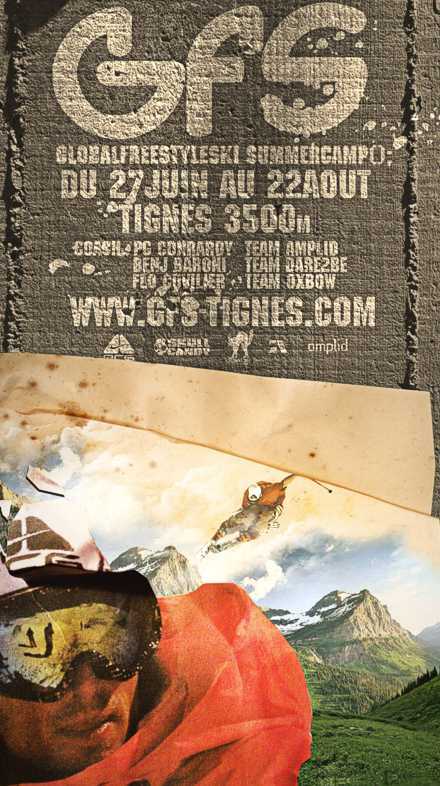 For more information www.gfs-tignes.com !